Loom knitting video’s are really useful when you are learning to do this sort of knitting, and luckily there are so many available on the internet that you can start off with. 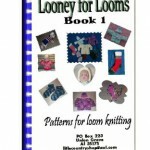 By following these video’s you will be knitting like a pro on your loom very soon. Loom Knitting is very simple to learn how to do. It is always easier to learn from video’s when it comes to knitting, so scroll down for some of my favourite Loom Knitting Videos that I have gathered to help you with your loom knitting. Looms in different forms have been used from the fourteen century for weaving cloth and knitting, but in this post, I focus on the types of looms that we use to knit with. If you don’t have a loom knitter, they come in all sorts of types and sizes, and you can purchase them online at really good prices. Here are a few of the types that are available. Simply click on the picture if you want to find out more about the product. 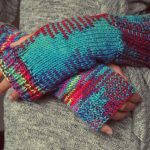 Loom knitting has become really popular in the last few years, so there is an abundance of products available online and off to showcase just how versatile this type of knitting can be. You can make so many exciting things using a loom, and the best part is that it is simple and quick. The Addi Knitting Machine works off of the principle of loom knitting, and if you want to create items even faster, you can read about the Addi by clicking here. The first one of my Loom Knitting Video’s is great for beginners and it shows you how to knit a chunky scarf. This is really quick and easy and you will have a trendy new fashion item in no time at all. This video shows you how to knit the Criss Cross Stitch on the Loom. It consists of two rows but gives your scarf with that extra special patterned look. Here is a quick and easy way to knit socks on the loom. And the last one of my favourite Loom knitting video’s shows you how to knit a Cute and Tiny Kitty. This is a great one to try with your kids. Hello, thanks for introducing loom knitting. I used to knit many years ago when I lived in Europe. I made scarfs, skirt, and the coat. It was the real achievement. The loom knitting is something new for me. I wonder if it can be used for sweaters too? Overall it seems a nice hobby, especially at the winter time. The knitting is good for calming the mind. I read that the knitting and playing piano helps avoid problems associated with memory. I think that I need to check out these tools for loom knitting. It seems as the fun. Thanks for the information, all the best, Nemira. Thanks for stopping by Nemira, and yes you can knit a sweater on a loom. I haven’t tried myself, but have seen video’s online. I love the different styles of loom. I have knitted many years ago, but have never quite mastered it, yet. 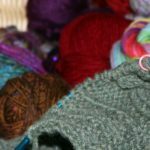 This may be a great jump-start back into knitting. I found the double loom- the infinity symbol one- interesting and had to click on it to see what it would make. Do you have an image of the type of afghan it would make? Knitting is so fascinating to me. Just one string woven and wound about can create the most amazing and versatile items from scarves to dolls and more. I’ve always wondered how loom knitting works. Its something I am interested in but never seem to have the time. Just one of those things I guess. Thanks for sharing the video, I enjoy seeing how to do things instead of reading instructions, LOL! It’s really great to see people are still knitting. I remember my mom was always knitting in the evenings. We had lovely afghans and scarves. She had friends who were very advanced. I don’t remember seeing these cool knitting looms. It looks like you can do some really cool things with them. I have a granddaughter (only three years old now). How old do you think she needs to be to start knitting herself? I don’t think you are ever too young or old, providing their is, of course,an interest shown. Good luck.